Dont get put off with the name, this is very beautiful and delicious dish that you can eat on its own. So while it is Bheem and Ben 10 for my little one, I settled for "b for burnt". Well, I still end up making this dish at home as one it is quick and other it is super tasty. 1) Cook the rice with 2 cups water in open pot. Add a tspn of oil while cooking. 3) Add the rice, salt and pepper to the pan. 4) Sprinkle with burnt garlic and spring onion and serve hot. You can serve light soy based gravy to go along or thai or asian style vegetable gravy to go along. Can guess how aromatic this rice will be, love to make some soon. thats an very flavorful rice dear :) looks super delicious :) wud love try it some day !! simple, elegant and very flavorful!!! The rice does sound interesting..I like the burnt smell I get in the fried rice..
btw why the Linky tool in the top and bottom? Goodness in small patches --- very well got the point Pradnya :-)) I am a victim of it myself !! This was the only veg dish that appealed to me in Mainland China (is that where you went to, too??).. and I keep making these often... even for a non-garlic lover, this is manna come home ! This will surely please my husband! wow very flavorful garlic rice I can have it anytime. So simple and very enjoyable. As Harini mentioned, my husband would be damn pleased. I am going to try this. I can just feel the nice aroma of that dish.. Garlic being my fav.. I 'm bookmarking it..
Hi Pradnya. We met yesterday in the Canola oil event. Loved your blog. Yummy recipes! And what a lovely blog name!! Garlic flavor in anything is fantastic and this rice predominantly with garlic flavor would be lovely! My daughter loves the flavour of garlic and am sure she would like to taste this. Bookmarking!! I love rice and not much of a fan of garlic but I am bookmarking this one as hubby loves garlic and will love this one. 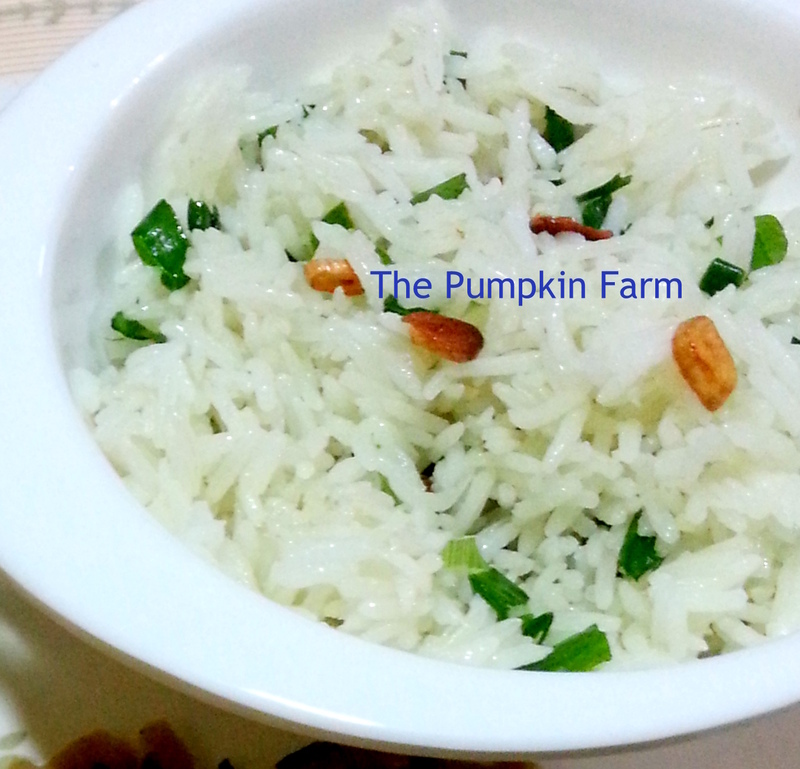 Flavorful and simple rice..love to have with panner makani..